Be a responsible and ethical tourist for the sake of the animals. Before visiting SE Asia, ensure you do extensive research on establishments where you can interact with animals prior to visiting these places. Do not look toward Trip Advisor for research as it promotes unethical places that are well known for animal abuse. PLEASE be a responsible tourist and do not put your tourism dollar toward establishments that exploit animals for profit. Tourism dollar feeds abuse in many places. PLEASE do not go to any tourism establishment where saddles are placed on the backs of Elephants for trekking rides, or bull hooks are used by the mahouts. Do not vist elephant parks where they play soccer and paint pictures of realistic items. If you see any chains, especially around the legs of any elephants on the premises at any stage, leave the establishment immediately and insist on a refund. PLEASE never visit places where orangutans pose for photos with tourists or are used to entertain via boxing shows or the orangutans are dressed in human clothing and used for props etc.. Avoid establishments where you are able to hold an infant orangutan or have hands on interaction with the species. PLEASE do not visit places where you are able to sit with tigers and have photos taken. Many establishments pose as conservation sanctuaries. The Tiger Temple in Thailand is a perfect example of what the tourism dollar feeds. Refer link here. Avoid all places in SE Asia where animals are exploited for money. Tourists feed these abusive practices and there is a very dark side that tourists don't see and you will be told what you want to hear. Remember that these places are well rehearsed with stories that the animals are well cared for. We ask that if you have photos on your facebook page that you have had taken at such establishments, please consider taking them down so that you are not encouraging others to visit these abusive places. ​We are trying to sending a clear message here. The only way to put an end to animals being exploited and used as props is if tourists stop paying for it to occur. 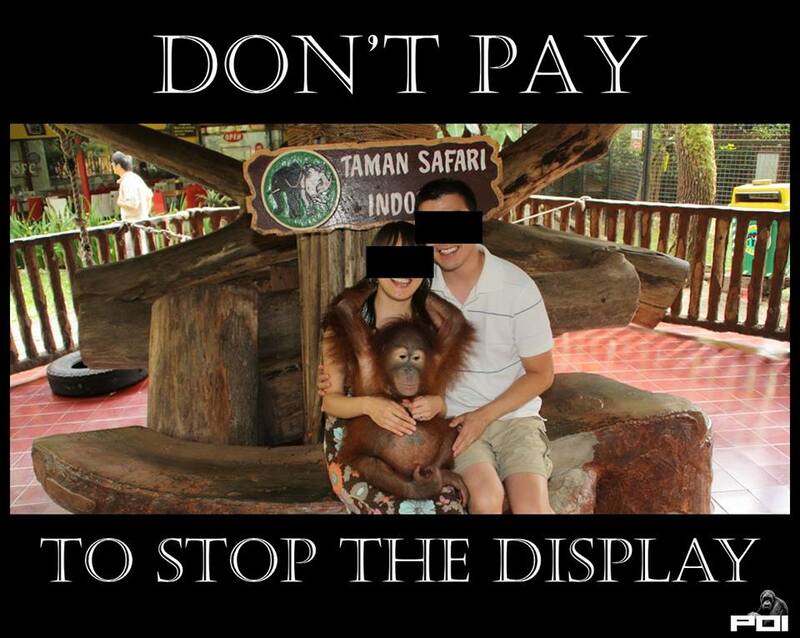 There should never be any hands on interaction with orangutans when it comes to tourism. Orangutans share almost 97% of our DNA which makes them extremely susceptible to human disease. An orangutan can catch a common cold or flu which could kill them. Many orangutans in Indonesia have also unfortunately caught hepatitis B virus from humans. The only way to stop this exploitation industry is to stop paying for it to continue. There are more ethical ways to see orangutans. Plant a tree for the orangutans. The Orangutan Information Centre (OIC) has been pioneering a forest restoration program on degraded lands in the Langkat district of North Sumatra since 2008. The project is managed in close collaboration with forest-dependent communities and the local government, which helps ensure that the replanting sites will be safe from future encroachment. 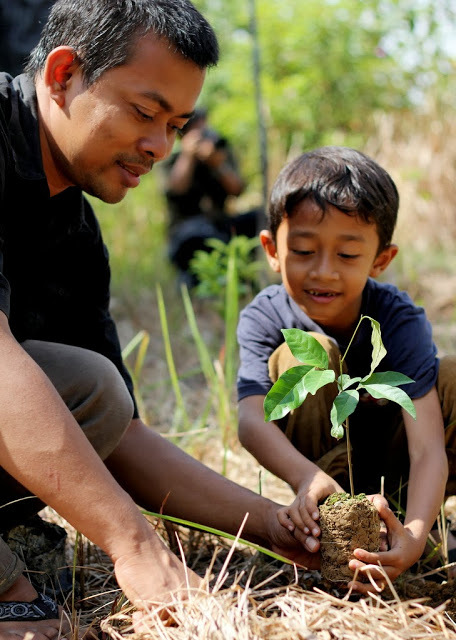 As a tourist to Sumatra we highly recommend visiting OIC to plant a tree or plant many. The Orangutan Information Centre OIC also have a team that provides responsible guiding services through the forests so that you can see orangutans in their natural habitat. ​OIC are the main rescue team on the ground in Sumatra and extremely experienced regarding orangutans and responsible tourism. ​Project orangutan Kuching Borneo Malaysia & Ketapang Kalimantan. ​Visitors are welcome at the Matang Wildlife centre and they also run various ethical tours throughout Borneo Malaysia and Indonesia. 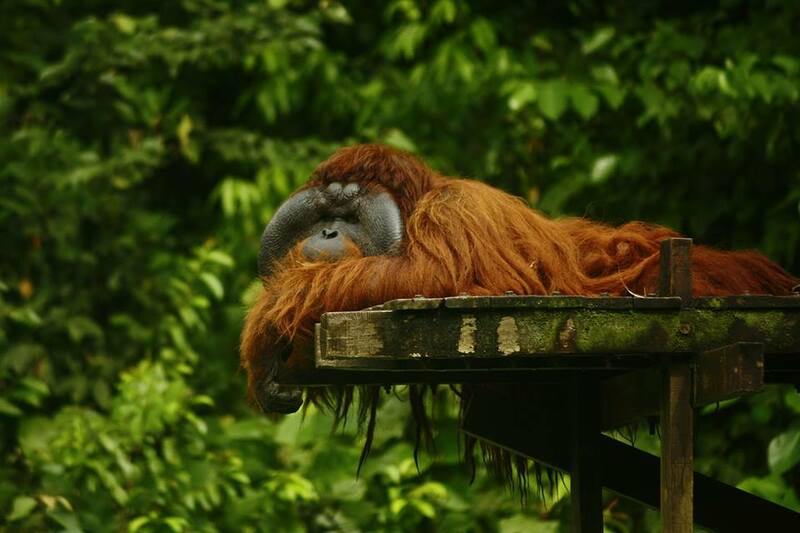 Project Orangutan runs Matang and is partnered with International Animal Resue centre Ketapang, Kalimantan, Borneo. They also have wonderful volunteer projects, so maybe consider making your holiday truly worthwhile and volunteer your time whilst you are there for an extended stay. Don't expect hands on experience with the orangutans, as both centres in Kuching and Ketapang abide by strict policies to protect the wildlife in their care. Hands on is not in the best interest of the orangutans. For more information, holiday packages and volunteer projects click here. Orangutan Odysseys combines adventure and educational tours in Indonesia and parts of Malaysia to support conservation efforts for the survival of orangutans and the protection of their habitat. 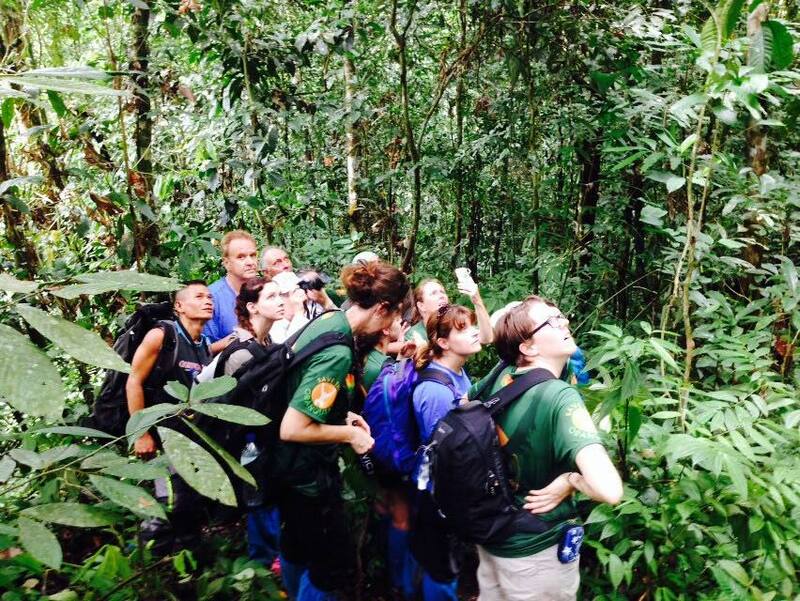 life experiences while supporting local nonprofits engaged in keeping orangutans and their habitat safe. For ethical tours to see orangutans, elephants, monkeys and also tiger patrol tours. A wonderful place to do this is via RAW Wildlife Encounters, founded by Jessica McKelson from Sumatran Orangutan Conservation Programme and board member of The Orangutan Project. Tours provide qualified wildlife professionals who will take you along roads less well-travelled and allow you to experience truly incredible learning encounters with unique wildlife. ​IMPORTANT. Before visiting Thailand we implore you to please watch the attached video by 101 East Al Jazera titled Saving Thailand's Animals. If you have time to take a holiday and book your ticket, then please take 25 mins of your the time to watch the video we have uploaded for you to view before you reach your destination. There are a few ethical options for seeing elephants when visiting Thailand. These places do not allow rides however you get a far better experience by getting to interact with them up close and personal. These are the places we suggest that we know are 100% above board and cruelty free. We do not suggest any others at this point in time. We also suggest to avoid all places where you can interact and get selfies with tigers. ​Wildlife Rescue Centre and Elephant Refuge. ​See hundreds of animals, and get up close and personal to elephants in a way which is cruelty-free and does not exploit them. ​Wildlife Friends Foundation Thailand also accept and rely on volunteers to help care for the rescued animals. Bookings and more information here. Founded by Lek Chailert, who has devoted her life to providing sanctuary for the elephants. Save the elephant foundation has a variety of sanctuaries they work with that you can visit. Each one is cruelty free. Save the elephant foundation also accept volunteers. Bookings and more information here.